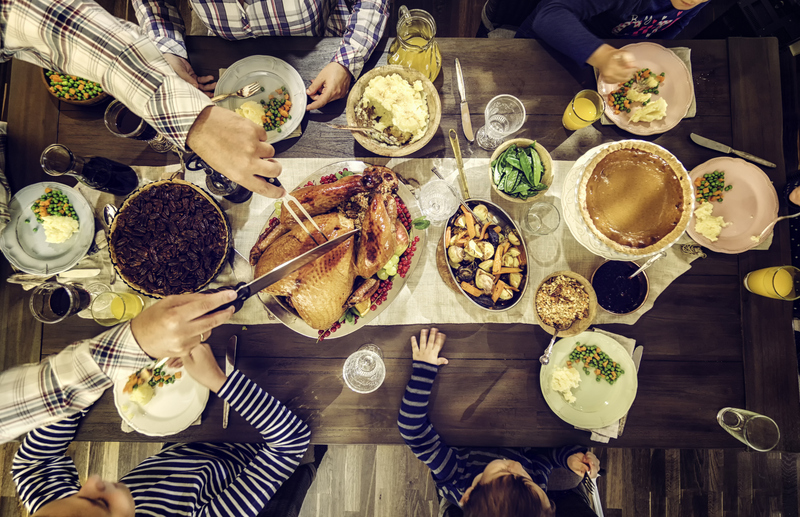 Between guests, holiday shopping, cooking and everything else you may have forgotten, we understand how Thanksgiving is a busy and stressful time of year. So busy that the whole point of the holiday and the season (being thankful and giving back) can easily be forgotten. So while we’re crossing items off our to-do lists and buying everything for the big day, we can also feel good about giving back to the initiatives these companies support. From helping hungry children to supporting environmental efforts, these companies give back and help you have a successful, and more importantly, happy holiday. Rule number one for a successful Thanksgiving? Don’t forget the food! You can make sure you have everything from appetizers to dessert with help from Williams-Sonoma. The company helps children across the country by partnering with No Kid Hungry and St. Jude Children’s Research Hospital. Learn more about the company’s initiatives by visiting their Coupons for Good Facebook. And don’t forget the after dinner coffee and tea for your guests! Keurig has great coffee selections that are quick and easy to make. Using these coupons you can donate 2.5 percent to a cause of your choice and support the company’s sustainability initiatives by checking out their Coupons for Good page. Decorations and table settings are another important (and fun) aspect of the holidays; it’s a chance to create a warm and welcoming environment for your guests. You also get to show off your personal style and aesthetic. Pier 1 Imports has a lot of decorative choices (and free shipping), and supports local and international communities. Pottery Barn also offers decoration discounts for Thanksgiving and beyond. What’s even more impressive is the company’s dedication to multiple initiatives, ranging from the Give a Little Hope campaign and the HERProject to the Better Cotton Initiative and other eco-friendly resources. Pottery Barn’s Coupons for Good program highlights these initiatives and more. Show thanks to your host or hostess at any holiday events by bringing a small gift. For a coworker or friend, Bath & Body Works has smaller gifts and donates a portion of what you spend to a nonprofit or charity with these discounts. Additionally the company has donated to causes such as United Way and cancer research. For something more personal, Shutterfly can print out your favorite photos to create a photo book. The company’s foundation aims to make the world a better place by helping people share the joy of life. Make sure any guests you may have staying at your place feel welcome and at home. Beyond just making up the bed, make sure their room has everything they may need, such as towels, by shopping at Bed Bath and Beyond. In addition to donating 5 percent to a nonprofit of your choice, you’ll also support Good360, which you can learn more about via their Coupons for Good page. Or you can make sure they stay at a quality hotel. Check out discounts and coupons for Best Western, Extended Stay America or Comfort Suites.